Our diamond turbo cup wheels are specially designed for grinding stone, concrete, and masonry materials. Cup wheel is aggressive and balanced under high speed working condition. 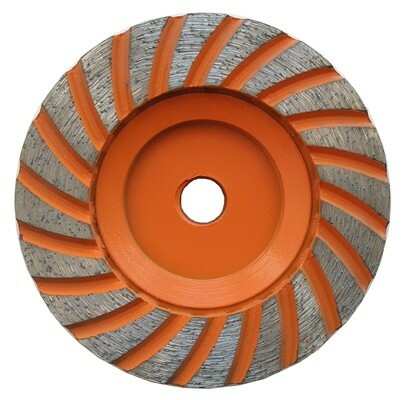 We offer coarse (30/40 grit), medium (70/80 grit) and fine (120/220 grit) for this line of cup wheel.